When you have guests staying in your home it’s important to make them feel comfortable and welcome. If you have the space, a dedicated guest bedroom is a perfect way to ensure that you always have a suitable space to make visitors feel at home. Decorating and furnishing a guest room should be simple if you follow a few basic rules of thumb. The key to an effective guest bedroom is simplicity. Too much clutter will make a guest feel like they are intruding on your personal space. In terms of furniture a comfortable bed, and pair of side tables and a wardrobe or set of drawers for clothes is all that’s really required. You may also wish to install a television, but this isn’t essential. There’s nothing more likely to leave a bad impression on your guests than an uncomfortable bed. Make sure you’ve invested in a top-quality mattress. A really luxurious choice, such as memory foam or latex, will really wow your houseguests. 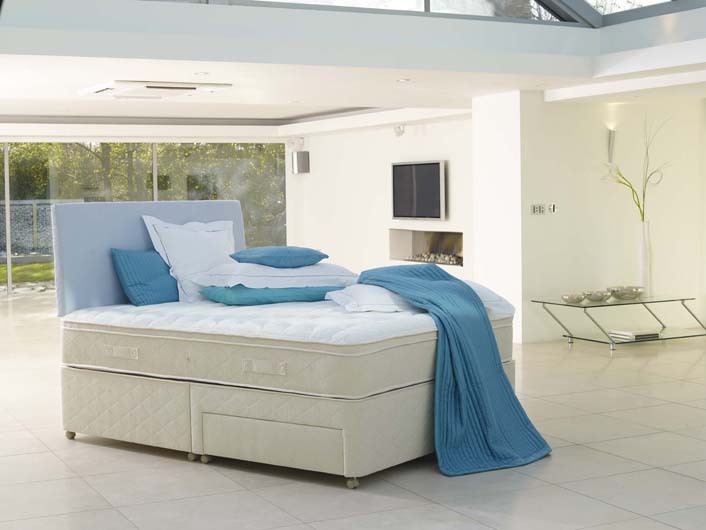 Specialist sleep experts, Silentnight in the UK have a range of quality beds and mattresses to suit your needs. The only downside is that they may never want to leave! Super comfy mattresses by Silentnight. When it comes to decorating it’s always advisable to stick to a neutral colour. Your guest room may entertain a variety of guests over the years, and anything too bright, dark or garish could be quite off-putting, and make it difficult for your guests to relax. Stick to light colours and simple patterns, if you’re wallpapering. To really make your guests feel welcome consider buying a small toiletries set. If there’s an appropriate space then a mirror will also complement this nicely, but remember the rule about clutter. 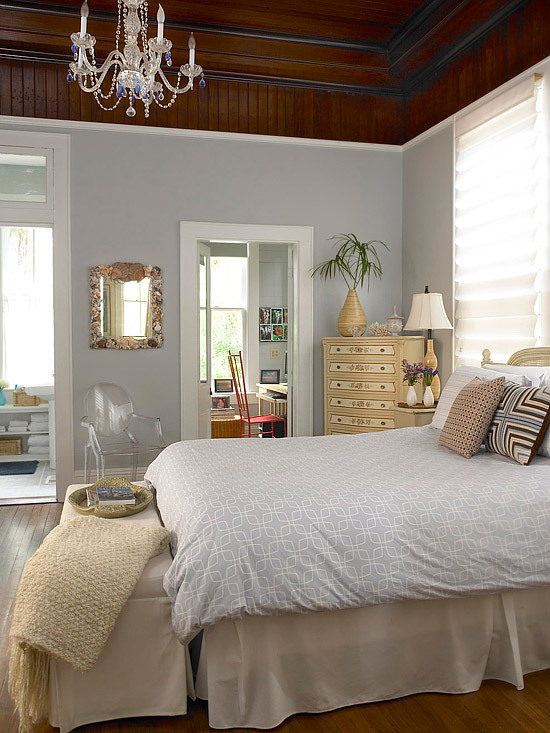 If your guest room is only small, stick to the essentials – a bed and some storage space. Similarly, it’s important to think about the size of the bed in the room. A double or larger is obviously ideal, but if it’s going to be so large as to overwhelm the rest of the room then it might be better to stick to a single. Overall the best approach to furnishing a guest room is to imagine the things you’d like to see if you were staying with somebody else. We all need a few home comforts to be able to truly relax. Follow your instincts and your hospitality will be the envy of the neighbourhood. Here are some more tips - and things that I always appreciate when staying as a guest. • A water glass and carafe (or easy access to a sink for drinking water). I really like to hydrate before bed, and while I try to bring my water bottle with me everywhere, I always appreciate a glass. • Maps, books, or brochures with local information. Even if I'm there to visit you, it's fun to learn a little bit about the town where I'm staying. • An extra blanket - lightweight and heavy. During the day I'm typically cold, but for some reason at night I get warm. It's important your guests are able to choose from a light blanket or a heavy blanket. • A small fan, especially if it's summer. • A spot other than the bed to unpack. Putting suitcases on the bed is a big no-no. Think of what those suitcase wheels have been though! A folding luggage rack or trunk serves this purpose well. • Extra pillows. I always need atleast 2 pillows. If I have a stuffy nose, 3. • Bedside table with a lamp, even if it's small. • A clock with easy to set alarm. • Easy access to outlets for charging phones, laptops, etc. 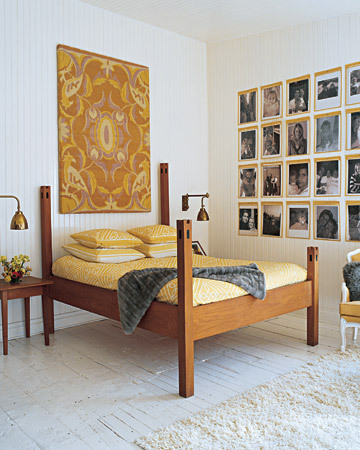 Here are some examples of great guest bedrooms - from grand to modest. Have you decorated a guest room recently? Please leave your tips in the comments!